We all know Steve Jobs as the chairman, co-founder and CEO of Apple Inc. He was born on February 24, 1955 in San Francisco, California. He was adopted at birth by Paul and Clara. The family then moved to Mountain View, California in the early 1960s. It was due to Paul’s hard work and craftsmanship that Jobs got a platform to go along with his love for mechanics. Paul built a workbench in their garage where he used to hang out most of the time with Jobs. By the time Jobs turned 10, he had developed deep interest in electronics and used to spend time with the engineers living in his neighborhood. He was shy making friends with children of his age group, and was considered as a “loner” by his class fellows. He became frustrated over formal schooling and his teachers began to bribe him to study. But his father would always encourage him and make him proud of his abilities. During his high school years, Jobs met Bill Fernandez and Steve Wozniak, a computer genius. Wozniak was a computer whiz kid and created the Apple I computer in 1976. Jobs, along with Wozniak and Ronald Wayne invented the Apple computer in the same garage where he and his father used to spend time working on the electronics. They received funds from an Intel product-marketing manager Mike Markkula. Jobs became famous worldwide through Apple. He was also the co-founder and chief executive of the famous Pixar Animation Studios. In 2007, Apple introduced the Iphone, which was a huge revolution in the history of cellular phones. The Iphone was a multi-touch display phone which also had the features of an Ipod. In 2003, Jobs was diagnosed with pancreatic cancer. He avoided to undergo any surgeries and was pretty careless about his health. In 2011, he died due to some complications of his pancreatic cancer. In 2012, he was awarded with the Grammy Trustees Award. 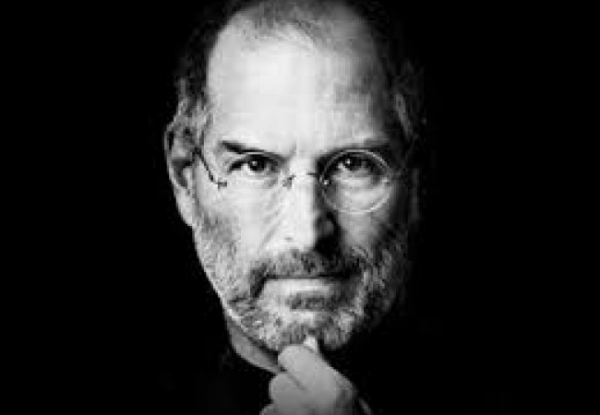 To me, Steve Jobs is an example of all those students who are avoided and bullied by their classmates. He set an example for all of us that even the ones who we call “loners” can do unremarkable things in this world.